Mouse use can lead to a variety of pains and strains in the wrist and hands, usually referred to as musculoskeletal disorders (MSDs). MSDs include repetitive strain injuries (RSIs), tingling or numb fingers, tennis elbow, carpel tunnel syndrome, and hand pain. 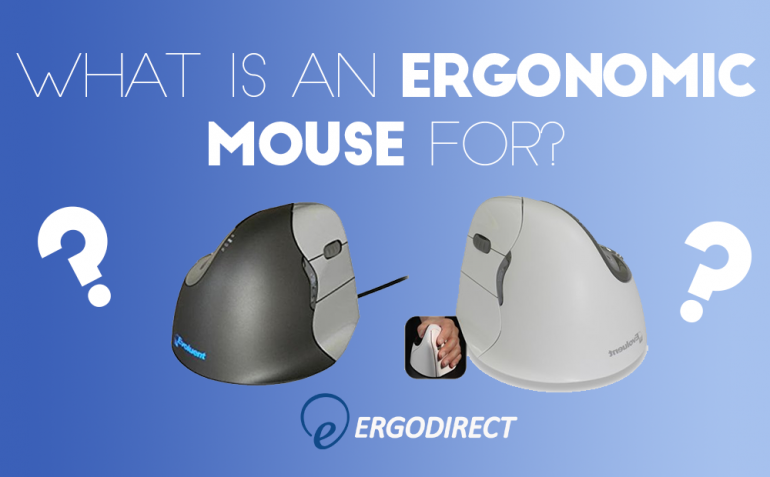 Ergonomic mice are designed to keep your hand in a neutral resting posture in order to lessen the strains placed on the body. This posture refers to the position of muscle joints in the forearm, wrist, and fingers. Like we outlined in our dual mousing post, your hands’ natural resting position is palms toward each other, fingers pointing toward the floor. Wen using a mouse, you want to keep this neutral position as much as possible. Most mice have been designed so that your palm is toward the floor, with your thumb and pinky finger on either side of the mouse. 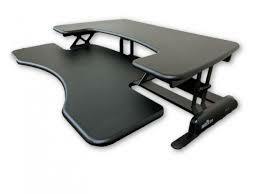 This means your forearm will be twisted, not left in that neutral position that prevents ergonomic strains. Laptop mice force you to twist your forearm in front of your body, which can lead to pinched nerves. Most laptop users experience sore or numb fingers and forearms because of this position. Using an external mouse or getting a tray big enough to hold your laptop and mouse side-by-side are the best remedies for this problem. Nowadays, external mice are offered with a variety of different grips, and several shapes and sizes to better accommodate the unique hand size of the user. The best way to find the perfect mouse for you is to try out different mice to see which one best suits your hand’s natural resting position. 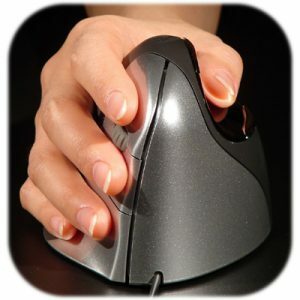 Vertical mice are ideal for keeping the forearm straight, as they place your thumb on one side of the mouse and your fingers on the other, so that your pinky is closest to the floor. This position is similar to how you might offer your hand for a handshake. 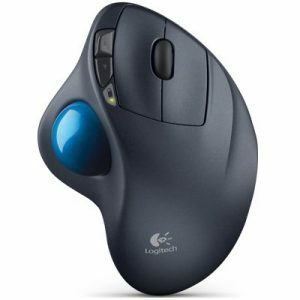 Trackball mice allow you to move your cursor without moving your arm. 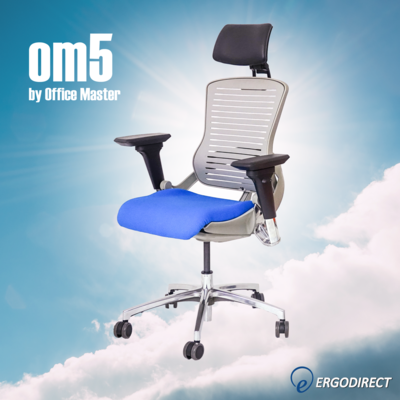 This helps prevent repetitive strain injuries by avoiding repetitive movements. 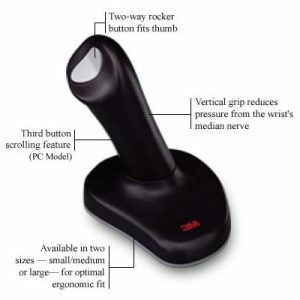 Getting a sculpted trackball mouse, like the one below, will also ensure that your hand rests in a partially vertical position so that your forearm is not twisted. Getting a mouse for your non dominant mouse hand can help reduce RSIs. You can alternate using your other hand to mouse to take the pressure off of your dominant hand. 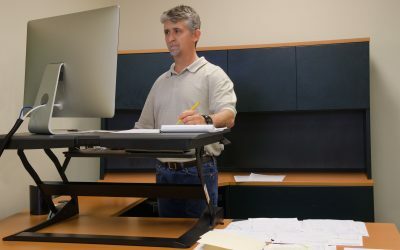 Frequent breaks and switching positions are the simplest ergonomic solutions to avoid strains. Most of the time you will need a short adjustment period when breaking in a new mouse. Training your hands and fingers to use the mouse properly may take a few days or weeks. Keeping your mouse close to your keyboard can also help reduce strains, by reducing how far you have to reach to use your mouse. 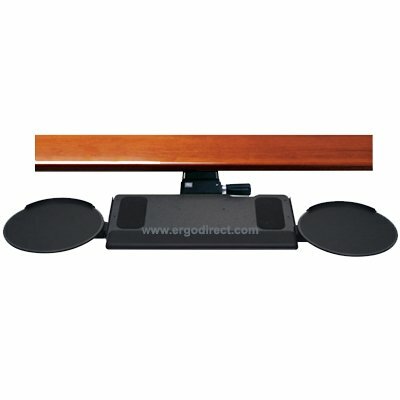 Getting a large enough keyboard tray to accommodate mouse and keyboard, or a separate mouse tray placed beside the keyboard are ideal solutions. What kind of mouse do you use? Let us know in the comments! Its look is nice and comfortable. really looking forward to using this Ergonomic mouse. But I don’t know which is good for daily use. Please, anyone can suggest me one?